We love mushrooms! 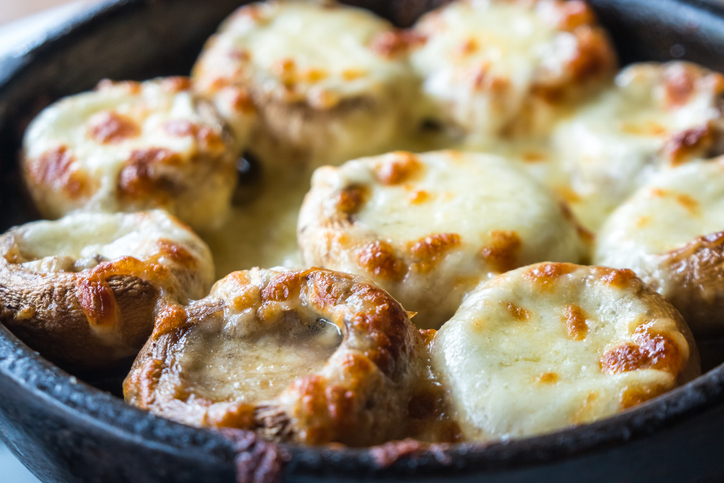 We mean, if anything has made our lives brighter, happier and tastier, they are the humble mushrooms. It wouldn’t be wrong to say a lot of us survive our vegetarian days because of mushrooms. Their sturdy texture and hefty flavour are such an easy substitute for meat, be it in burgers or on pasta, that we’re obsessed with them. 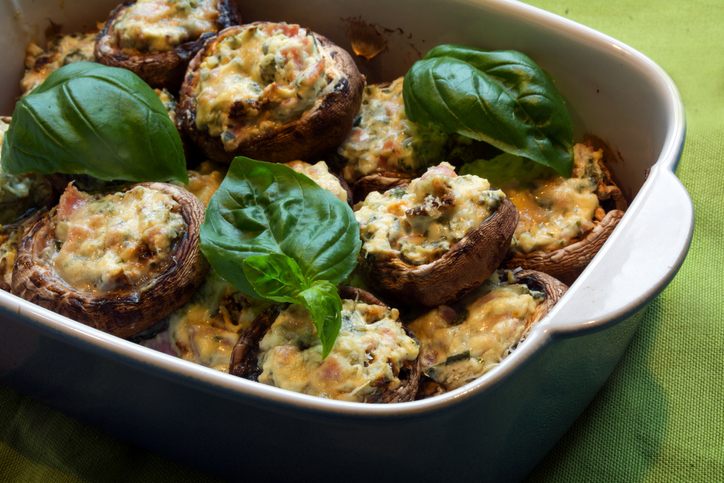 And when these mushrooms are stuffed with meat or cheese or seafood, you can feel the decadent love frozen in every bite. 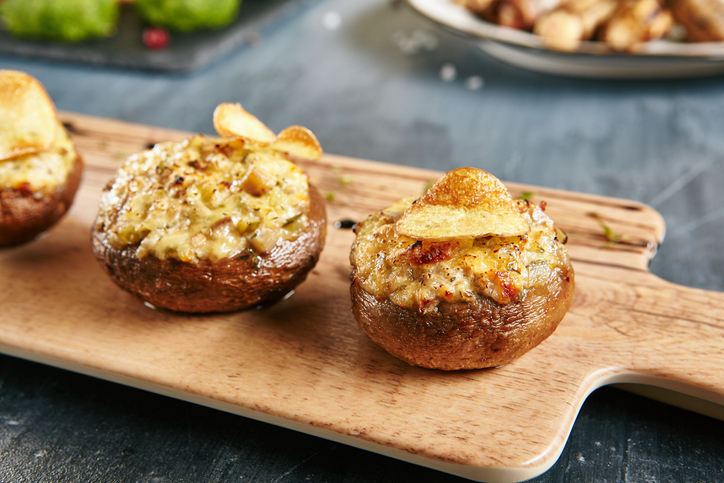 If by chance you’re yet to join the mushroom lovers’ club, try these stuffed mushrooms and take your taste buds to nirvana. If you’re looking for a tasty and healthy breakfast, this mushroom stuffed with sausage is a great way to fill your belly. Pair it with your favourite fruit juice to round out the dish. Finally, we have a ‘healthy’ way to eat pizza! 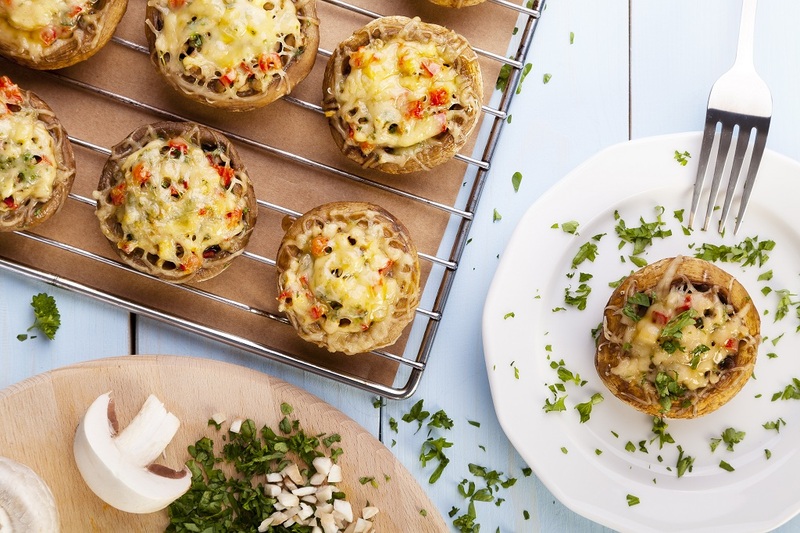 Since giving up on pizzas is not even an option, why not bring it together with mushrooms and actually devour it guilt-free. 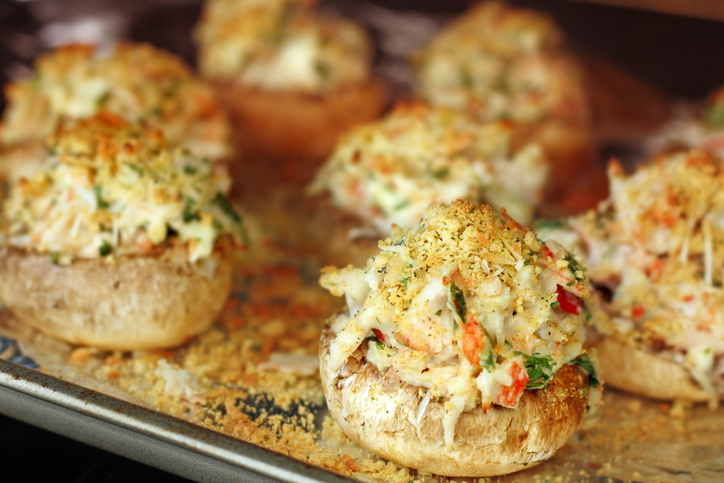 If you love seafood, crab stuffed mushroom is going to be your bae. The savoury, buttery crabmeat-breadcrumb stuffing will cast a magical spell on you. 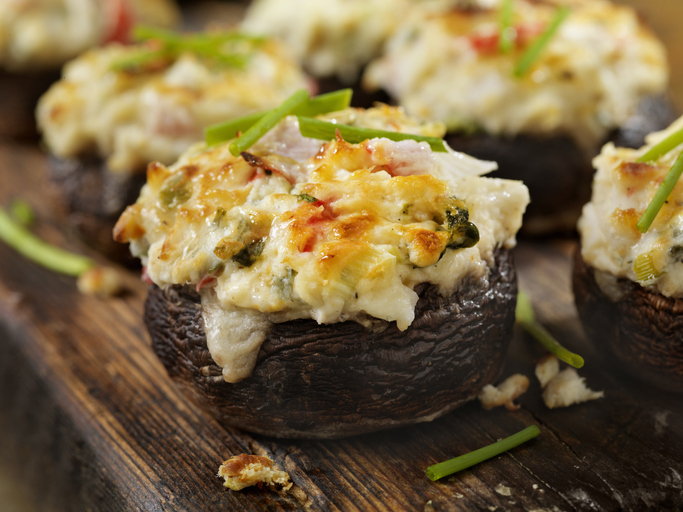 These perfectly bite-sized stuffed mushrooms are packed with a savoury blend of cream cheese and yogurt. After this, all your guests will want at every dinner party are these yogurty, crunchy shrooms. Imagine taking bite size morsels of the all-time favourite spinach artichoke dip. We are already drooling! 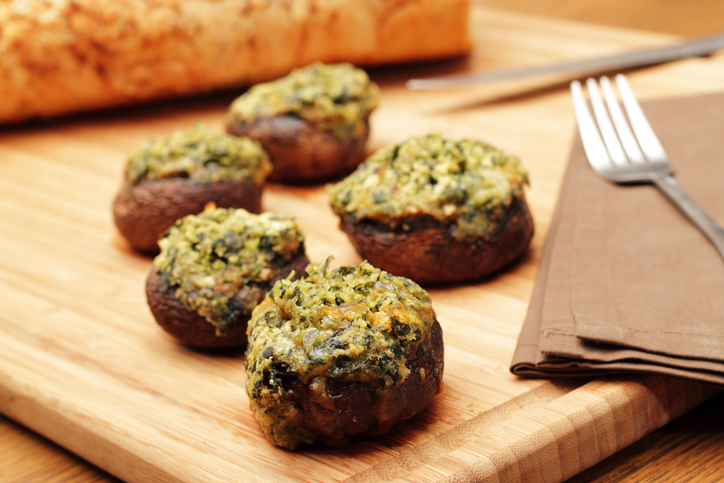 Tender oven-baked spinach artichoke dip stuffed mushrooms is an easy and elegant appetizer with amazing flavour. Seasoned with garlic and fine herbs, this is an appetizer that is easy to make and delicious in equal parts. Stuff in some cheese and it’ll be hard to not devour them. Bacon makes everything tastier. The divinity of the bacon stuffing that goes into these mushrooms makes it a mouthwatering existence bursting with flavours. Add some fresh herbs and cheddar, and we dare you to stop at one. Yes, you heard that right! 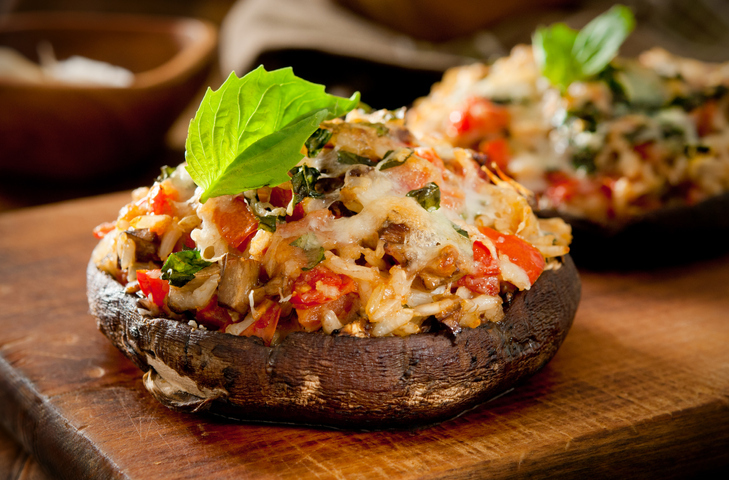 Be the ultimate guilt free eating champion with these daal-chawal stuffed mushrooms. 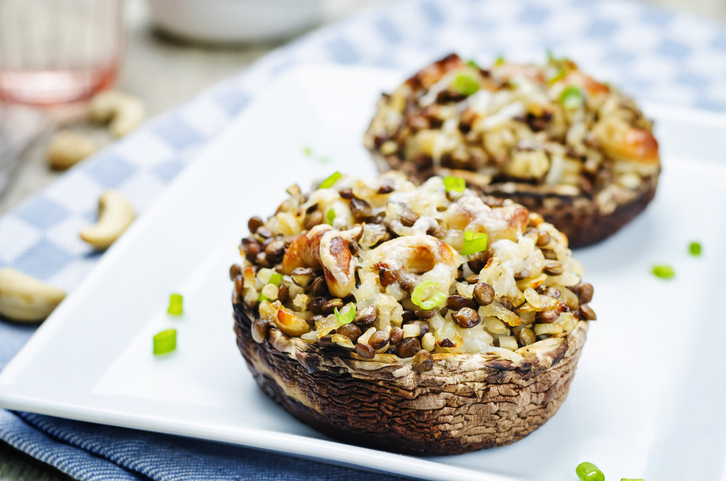 The goodness of rice and lentils stuffed in mushroom is simply delectable and comprehended better when eaten in reality.